Neck pain is a common occurrence among people who spend long hours at a work desk. The discomfort can affect the muscles, nerves and bones in the neck, traveling down to cause tingling, weakness and numbness in the arms and hands. The main culprit behind neck pain is poor posture that creates tension or stain. Often referred to as “text neck” this issue has been growing to epidemic proportions in offices worldwide. Over time, this poor posture can contribute to disc degeneration and other painful conditions. The key to prevention and treatment of neck pain is in ergonomics, which aim to enhance comfort among workers while reducing the chances of injury or stress to the body. Fortunately, implementing a few minor changes to work habits and the office layout can provide a solution to text neck and provide workers with relief from soreness and tension. As the National Institutes of Health points out, employers can turn to ergonomic workstations to prevent neck and back pain, carpal tunnel syndrome and other conditions associated with working in an office. The Humanscale M/Flex MF2 Monitor Arm allows one to customize his or her desk setup to make it more ergonoimical. If you’re looking at minimizing tension and soreness in the neck, Office Designs has a selection of office furnishings aimed at alleviating such discomfort. 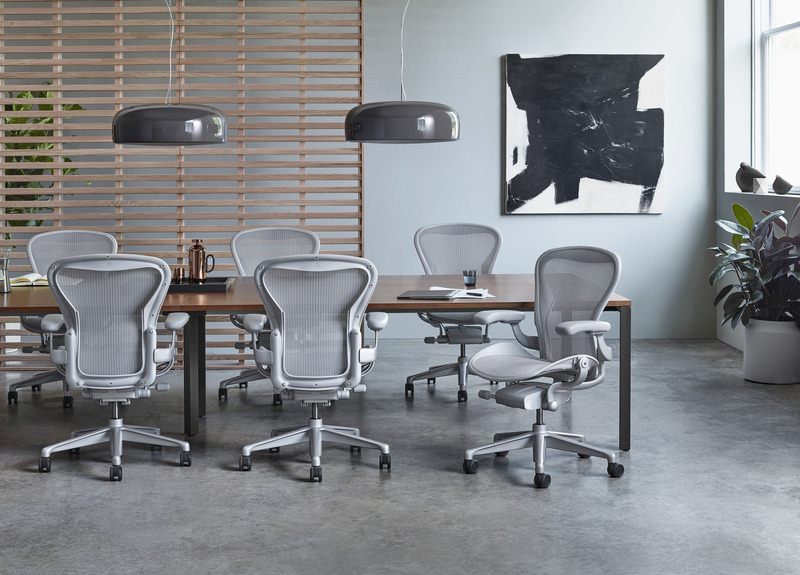 The Humanscale brand offers a wide variety of ergonomic furnishings, including computer desks, chairs and other accessories. 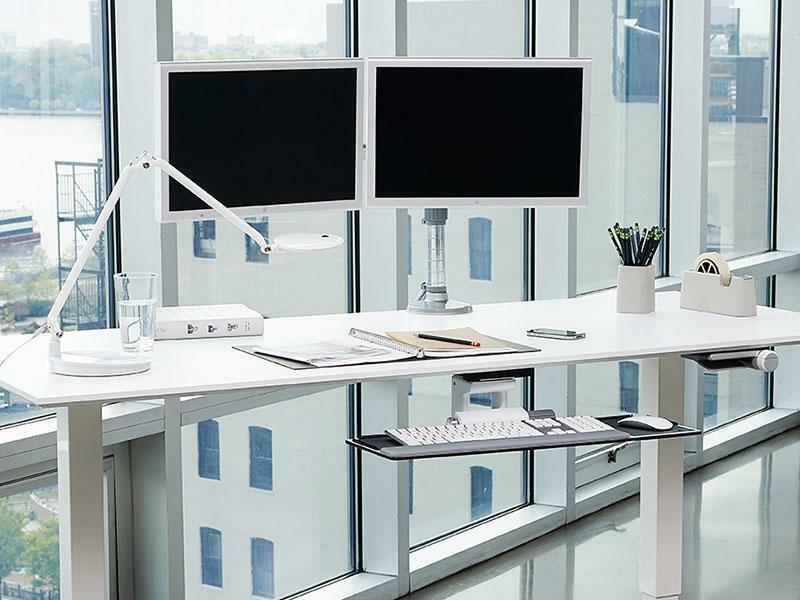 For example, the Humanscale Monitor Arm, which comes in several different models, allows workers to easily adjust the positioning of their monitors while freeing up desk space. Once you have provided employees with ergonomic furnishings, the next step is to ensure that workers are adapting their workstations to their specific needs. According to the Mayo Clinic, the chair, which should come with lumbar support, should be at a height so that the feet rest comfortably on the floor. The monitor should be positioned about arm’s length distance away and directly in front of the user, with the top of the screen slightly below eye level. A wrist rest and headset can also make the workspace more ergonomically inclined. When it comes to desk dimensions, the Mayo Clinic recommends that desks be tall enough so that the legs, knees and thighs do not touch the top of the desk. Additionally, the space beneath the desk should not be used for storage. 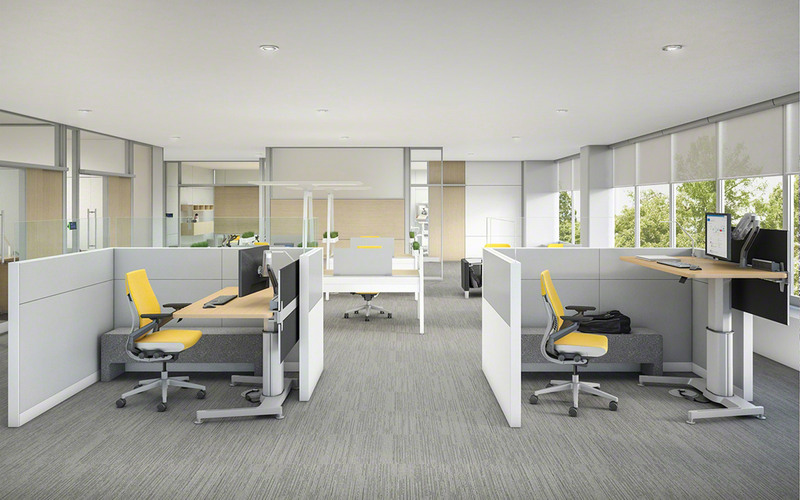 Instead, turn to Office Designs for a wide array of shelving and storage options from some of the most recognized names in office furnishings. The height adjustable desk can help prevent neck pain while improving circulation and enhancing energy. 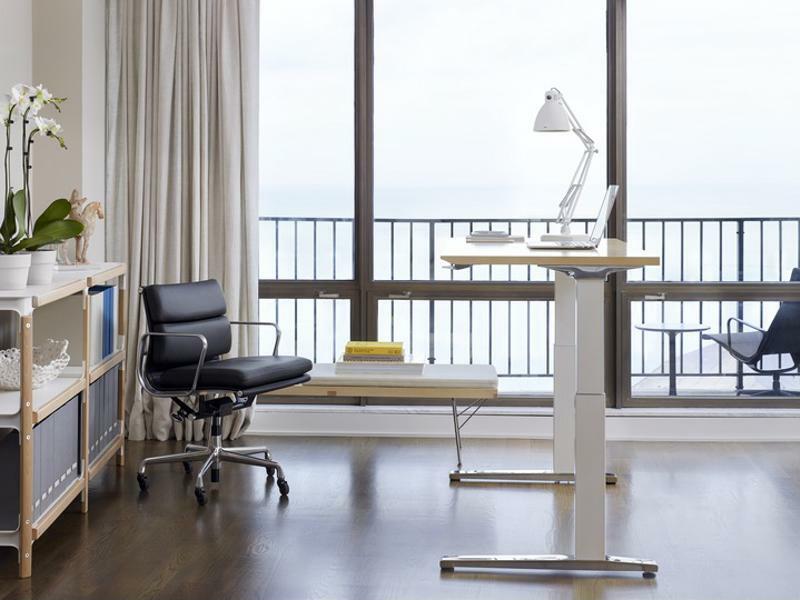 Another excellent option for those seeking to make their offices more ergonomic is the height adjustable desk. Maintaining the same position – whether it’s sitting or standing – for too long is one of the main factors leading to neck, back and shoulder pain. A mixture of both sitting and standing is key to good postural health, which is why the Centers for Disease Control recommends the use of sit-to-stand desks. They allow workers to go from seated to standing in a matter of moments, providing a change in positioning that can enhance blood flow and energy, reduce discomfort and even increase productivity. 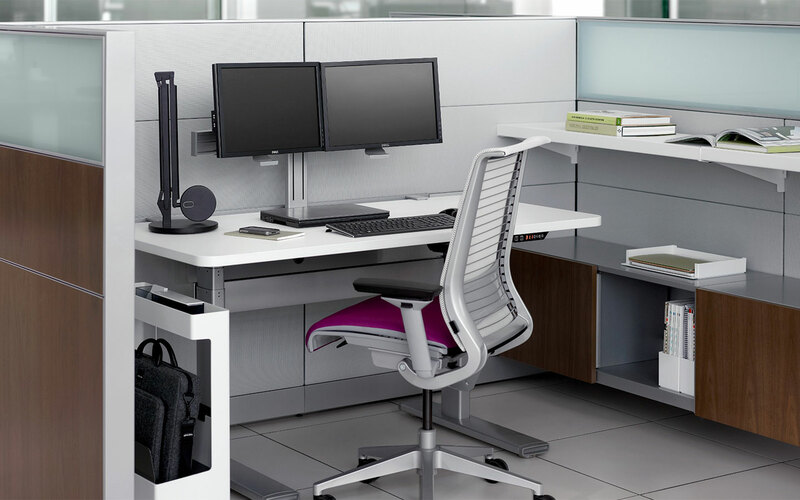 You can choose from a vast selection of height adjustable desks when you shop at Office Designs, including the Steelcase Airtouch and Office Star Ascend Pneumatic height-adjustable desks.